As a true artist, and music-lover, Ruben was immediately noticed by the greater Event organisations, and in a record time he made it to the big leagues by becoming a crowd favorite at events like: Dance Valley, Crazyland, Xtra Large, Full Moon, Free Festival, Fuze Outdoor and many more. 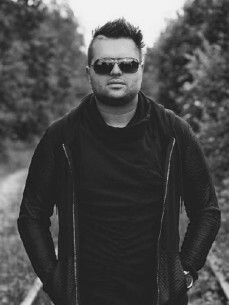 Besides his local achievements, Ruben also gave the International market a wake-up call by setting new trends in country’s like Spain and Egypt, as resident of Ministry of Sound, in the USA, Miami at The Winter Music Conference, and now in 2012 it was his first time playing at ADE. As an Event Organizer Ruben has proven to be creative, resourceful and one of the greater promoters ever to set foot on Dutch soil. With events like: “Bi-Rotic”, “Naughty and Famous”, “Lookers” and his latest venture At My house And Fuze Outdoor featuring DJ’s like: Sidney Samson, Shermanology, DJ Jean, Marco V and Billy the kit. he has managed to reinvent the art of Event organizing and has made his mark as a great contributor to the Dutch house scene.